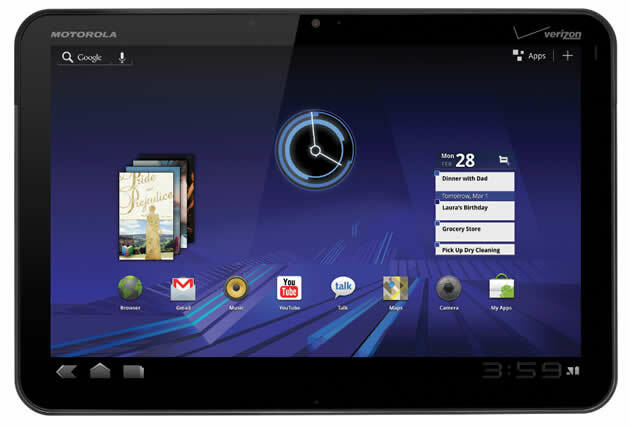 Motorola XOOM users can now updated their device with Google Nexus 7 Styled firmware. Please note that you will be required to be on the rooted firmware so as to make sure that you can then apply this custom ROM firmware. And also note that you should apply this only on the Wi Fi + 3G model and not for only Wi Fi model. Since, this is a custom ROM firmware it can be applied only to the rooted device; so you need to check whether your Motorola XOOM device is rooted or not. You can restore back to the official firmware at any point of time, just go to the path Settings> About Tablet where you can find the current firmware version just note it down. At below we have summed up the current features and features in upcoming version for your information. But don’t use PC Suites for backing the data as it does not support the custom ROM firmwares. So, once you have performed all the above mentioned instructions, then you can switch over to the given below steps where we have summed up a detailed tutorial on how to apply this firmware update in your Motorola Xoom. DISCLAIMER : Update this firmware at your own risk. If you do not follow the given below instructions properly it may damage your device we won’t be held responsible or liable for that. First download the Nexus 7 themed Custom ROM firmware from here to your computer. Once downloaded, then connect your device to the computer and place this downloaded zip file in your Motorola Xoom. Place the zip file in the SD card. After that allow your device to enter into the recovery mode for that you need to hold the Volume Down button when the Motorola Logo is shown when the device is booted normally. Just in case if the device boots up in the normal mode then you will have to again try entering the tablet in the recovery mode. In recovery mode, you need to select the option of “Flash Zip from SD Card”. Select “Choose Zip from SD card” to select the Nexus 7 styled zip file and then the Google Apps package which you have placed in your Motorola XOOM tablet. Once the file is selected, it will take longer time than expected time to apply this update. After that you need to select Wipe data/Factory reset and select Wipe Cache partition and then reboot your device by selecting reboot system now. Once the device boots up, you can check the same from the path “Settings > About Tablet” where it will show the current firmware as Jellybean 4.1.1 firmware. NOTE : If your device gets into the boot loop sequence or say gets stuck in the welcome screen, just re-insert the battery and re-follow the above instructions so as to again follow the above mentioned instructions. Congratulations! now you have successfully updated this firmware in your Motorola Xoom.